Sanju is an Upcoming Bollywood Movie in 2018, It is Biographical, Drama Film and Ranbir Kapoor, Paresh Rawal in lead roles. This film is Directed by Rajkumar Hirani and Produced by Vidhu Vinod Chopra. It is made under the banner of Rajkumar Hirani and Vinod Chopra Films. Raid is scheduled to release on 29 June 2018. 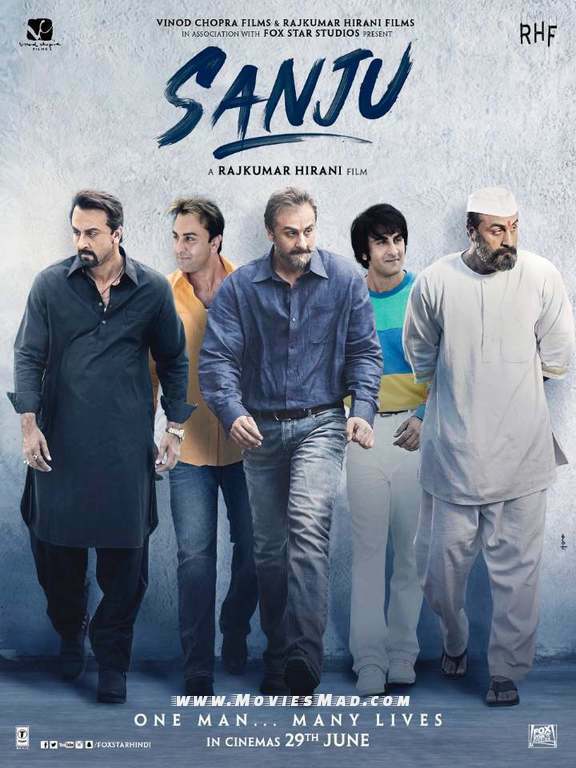 This film is being made on the biography of Sanjay Dutt. The movie will also see Ranbir Kapoor working with Hirani for the 1st time, though the actor did have special appearance as an alien in PK and the 2014 blockbuster starring Aamir Khan. Ranbir was last seen in the Imtiaz Ali's Tamasha film opposite ex-girlfriend Deepika Padukone.